Eye cream Morning nectar rejuvenates, nourishes, moisturizes and tones the skin around the eyes. This cream tightens the skin, removes dark circles and puffiness under the eyes and gives a brighter, expressive and shiny eyes. Protects the delicate skin around the eyes from sun rays and has a protection factor of SPF 30. Active ingredients: Ghritkumari (Aloe barbedensis), Methi (Trigonella foenum graecum), Madhu (Honey), Ankurit gehun (Triticum vulgare), Kusumbhi (Carthamus tinctorious). Application: Lightly apply the cream on the skin around eyes before you go outside, use every morning. Avoid contact with the eyes. If the cream gets into the eyes rinse with water if irritation remains, consult your doctor, perhaps you intolerance is one of the components. 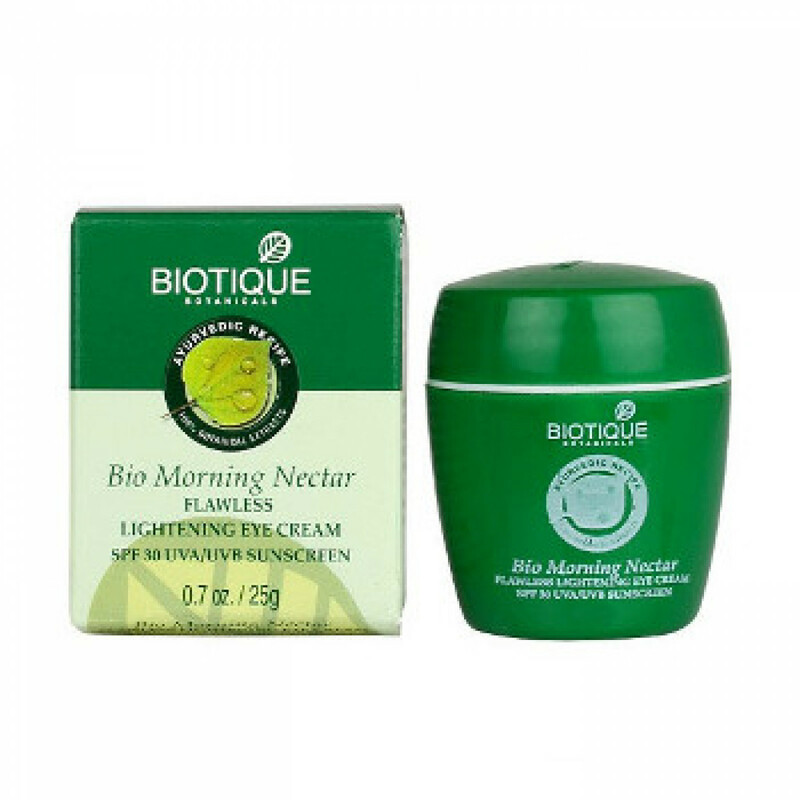 Original name: Bio Morning Nectar Biotique eye cream. In our store You can buy authentic eye Cream Morning nectar at a bargain price!